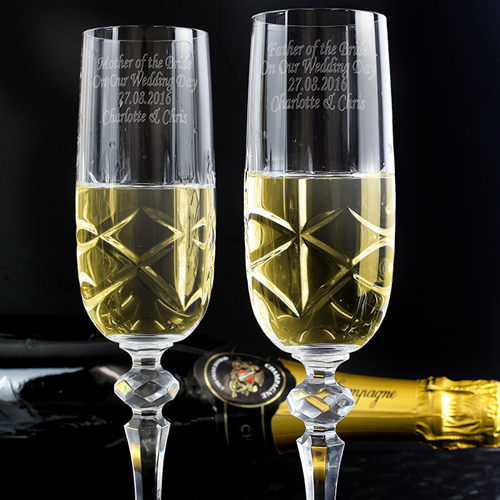 This beautiful pair of crystal champagne flutes come presented in a silk lined gift box and truly make the perfect gift for any celebration. Each glass can be personalised with any message of up to 4 lines on each glass, 20 characters per line. Each glass measures 21cm x 5.5cm x 5. 5cm. The design of the glass may vary. Personalise with any message of up to 4 lines on each glass, 20 characters per line.